Paul reveals more of the techniques that he uses to produce some excellent railway modelling designs. 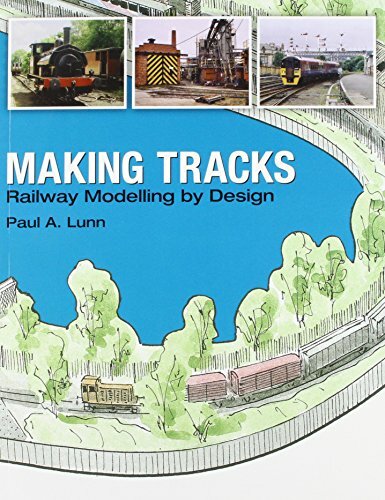 Nicely written and illustrated in Paul A. Lunn’s usual style In Making Tracks Railway Modelling by Design looks at design theory as well as providing many track plans. The designs look practical and appear as though they fit the space advertised, unlike some other plan books that are available. The track plans are superbly drawn in colour by Trevor Ridley. and the second applies these to modelling the emerging rail scene of today which Paul interestingly calls ‘The Future’. Don’t expect a great deal of modelling content as such, for example you won’t find a section on how to build baseboards, and there are few model photos. However the book is well illustrated with prototype images that complement the text and layout designs being described.